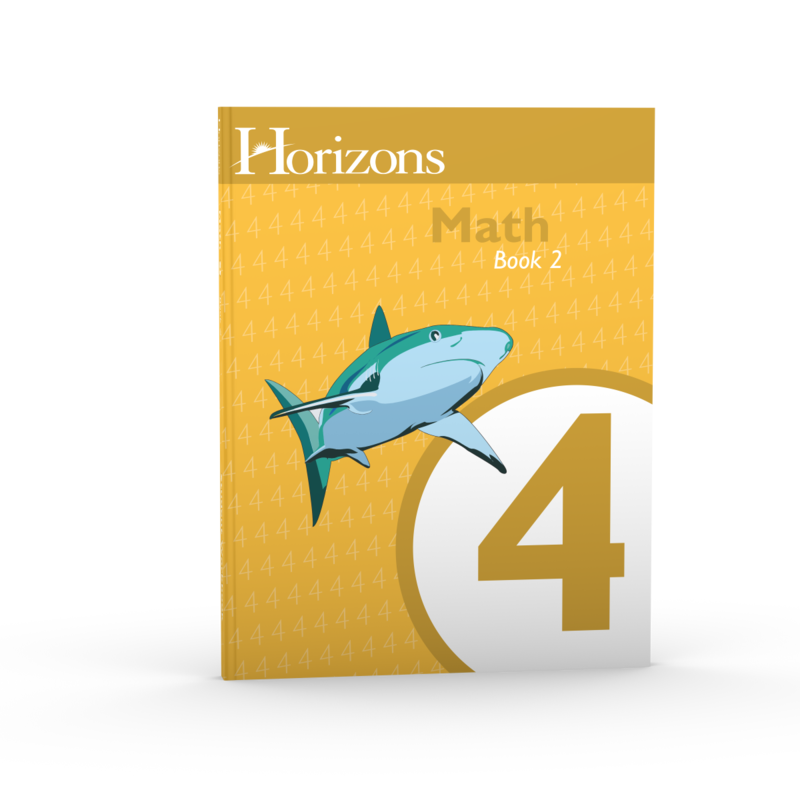 Get your child excited about math with the Horizons 4th Grade Math Student Book 2. Colorful, engaging lessons in this Alpha Omega curriculum make math fun. Concepts include linear measurement conversions, mixed numbers, geometric figures, metric measurements, comparison fractions, and more! Workbook contains lessons 81-160 with 8 easy-to-use review tests. Expanding on concepts learned in the Horizons 4th Grade Math Student Book 1, this brightly illustrated, consumable workbook keeps your child learning math quickly with fast-paced lessons. The spiral-learning method of introduction, review, and reinforcement makes this elementary homeschooling math curriculum easy-to-learn. Concepts in this Alpha Omega curriculum include congruent and similar figures, addition and subtraction of like and unlike fractions, bar and line graphs, addition and subtraction of decimals, time and temperature, and more! And that's not all! This softbound, easy-to-use workbook ensures your child's mastery of each concept with a comprehensive review test after every 10 lessons. In addition, you'll love the added convenience of perforated pages which allows for easy removal of each worksheet. Your child will work math problems more comfortably and be able to proudly display his finished work once he is done. No wonder this Christian curriculum from Alpha Omega Publications is a best-selling favorite among homeschool families! Order your copy of the Horizons 4th Grade Math Student Book 2 today!